The Garden Life Marquee hosts the Flower Show, the NAFAS floral art competitions, Kent Federation of Horticultural Societies Summer Show, the Kent Beekeepers’ Associations, and the miniature garden competition for schools and groups. Alongside our competitions, the Garden Life Demonstration Stage has talks from local growers and experts and visitors can purchase plants from our exhibitors. Visitors can leave their purchases at the Plant Crèche for the day and enjoy the Garden Café. The Flower Show hosts our exhibition and garden display classes, show gardens and hanging basket competition. These classes are all free to enter and plot frontage ranges from 6m to 12m. All exhibits are judged by an RHS approved judge with financial prizes available. Exhibits can include discrete advertising for your project, charity or college. Entrants in the hanging basket and decorative pot competition will be allocated an area 4′ square for the pot, and facilities will be provided for the hanging basket above. This is a free competition to enter with a total prize fund of £150. New for 2019, classes 2 – 9 in the floral art competition are open to affiliated members and non-members of NAFAS.  The theme for the 2019 Kent County Show is ‘Time to Celebrate’. There are a wide range of garden produce, home economics and craft classes, including flowers, fruit and vegetables. Entry forms are available from Sandra Foreman on 01732 844071 or email rich.KFHS@blueyonder.co.uk. Space is available within the Garden Life Marquee for sundries stands. Pitches of 6m x 3m in size are available at £150 + VAT for the three days. These stands can include any items that are directly related to garden maintenance, ornaments, water features, ornamental fencing, floral art design etc. For more information about these stands please contact the Show Office. If your school or club loves gardening and the outdoors, create a miniature garden to be in with a chance of winning garden centre vouchers. Have your creation displayed in the Garden Life Marquee at the Kent County Show and judged by a RHS approved Judge. Gardens must be presented in a seed tray no larger than 38cm x 24cm x 10cm and can be made from any material and have any theme. Enter as a group or on your own.